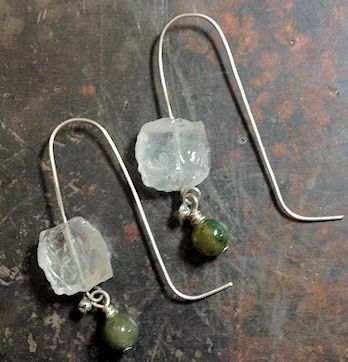 I’m kind of liking making earrings. Even though I have to make two the same, it’s not that bad. Would be easier if I drew out the designs prior to making the first one but when I start out, I’m not sure what I’m making until the first earring is done. 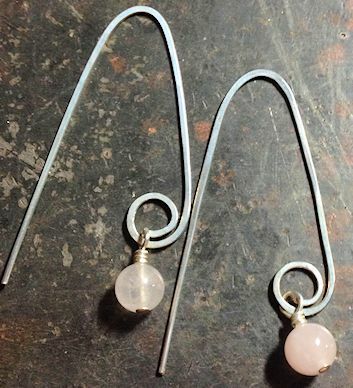 Hammered with a simple curl and a pink quartz bead. 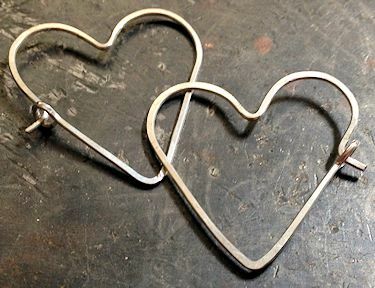 These heart earrings will hang slanted. Some kind of quartz square beads and some green stone beads that I had laying around. 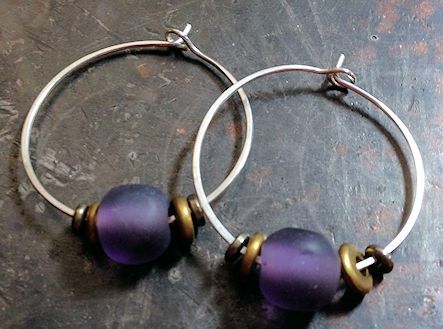 Another set of hoops with etched glass beads and some brass and nickel spacers. I decided to take a picture of each pair of earring right after I make them. Trying to hang them and take a picture didn’t work. I think these are better.